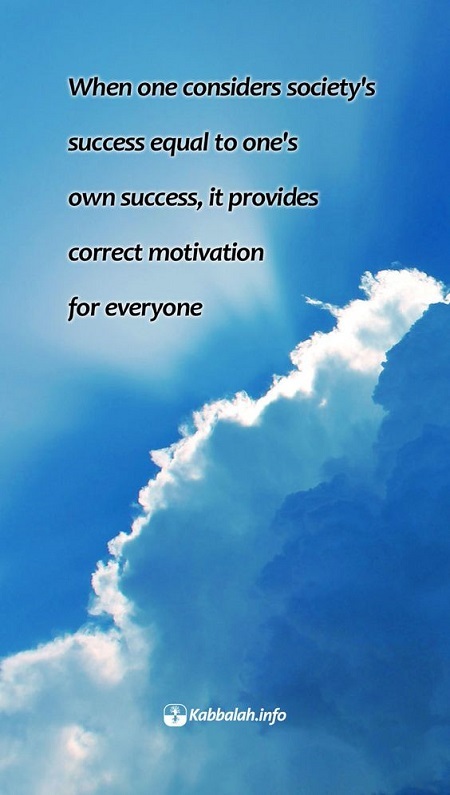 When one considers society’s success equal to one’s own success, it provides correct motivation for everyone. Our success is motivated and measured by others—we are constantly working to fulfill the goals of our society. We are usually unaware of this dynamic and attribute all of our accomplishments to ourselves. Our individual perception isolates us from one another—we are not aware of how we affect the entire system. At the global level, this creates crisis in all realms of life, threatening the very survival of the whole. We must change our perception to consider the success of society to be equal to our own.